I’m Alisha O’Connor. My approach is straightforward, honest and genuine—because those are my own personal values. I heard once that you will learn a lot about a person by what’s on their desk. Between linen samples, garden books and vision boards in progress, mine never sees a dull moment. Same story with my coffee table – and on most nights, I fall asleep to the glow of Pinterest. 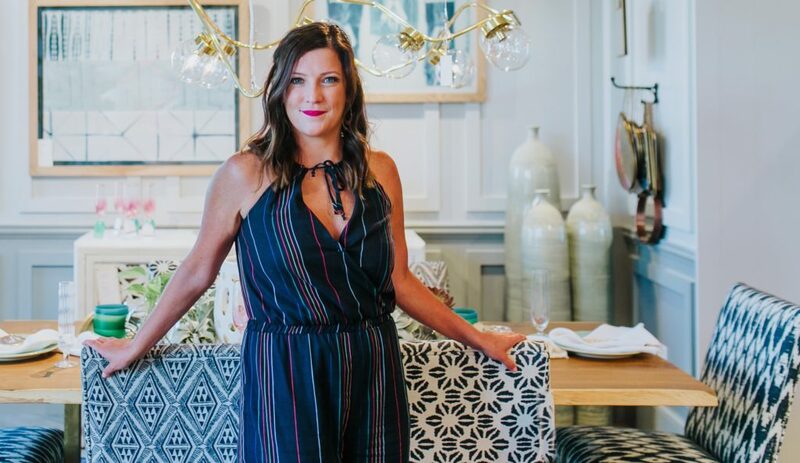 That craving for design detail in my home and professional life is what led me to a career in event planning. I have always had a passion for entertaining, and I consider myself lucky to share this journey with the amazing people I get to call my clients. Setting the stage for events that will one day stand out as incredible memories is what I thrive on. Nothing makes me happier than those serendipitous moments when colleagues, clients and friends come together, proud to celebrate life’s greatest milestones and goals. I am a no-nonsense kind of gal and have even been described as a firework: bright and cheerful with a loud and powerful impact! Most importantly, my devotion to my clients is genuine. I want the absolute best experience for you, and will do whatever it takes to make your personal vision reality. Let’s be real. I am going to ask you a million questions along the way to help me understand your personality, style and vision. Here’s a Q&A that will help you get to know me, too. Where did you grow up? On a farm in South Dakota. Siblings: I am one of 4 girls. Pets: Black Lab (Coal- 12), Yellow Lab (Rudy- 9). What skill would you like to master? Calligraphy – I have horrible handwriting! What’s your favorite drink? La Croix (I have an obsession and stopped drinking regular h2O), and Cabernet Franc. Favorite Vacation: Hands down, South Africa! What songs have you completely memorized? So many but sometimes I make up my own words and think they are right…does that count? Biggest Celebrity Crush: Morgan Freeman (that voice) and of course, the Queen B! Who inspires you? I am surrounded by strong women every day. What are some small things that make your day better? Coffee. What’s your claim to fame? The worm! What’s something you like to do the old-fashioned way? I save every card I get and periodically read through them. I love a good card! What’s the best single day on the calendar? Christmas Eve. What’s your dream car? VW Van or Teal Scout. What is the luckiest thing that has happened to you? Meeting my husband in a tasting room while on vacation. Next place on your bucket list to visit? I have not made it to Italy yet! Ciao.